Samhain is near and so I decided to make the first Samhain Hex Ritual Kit. 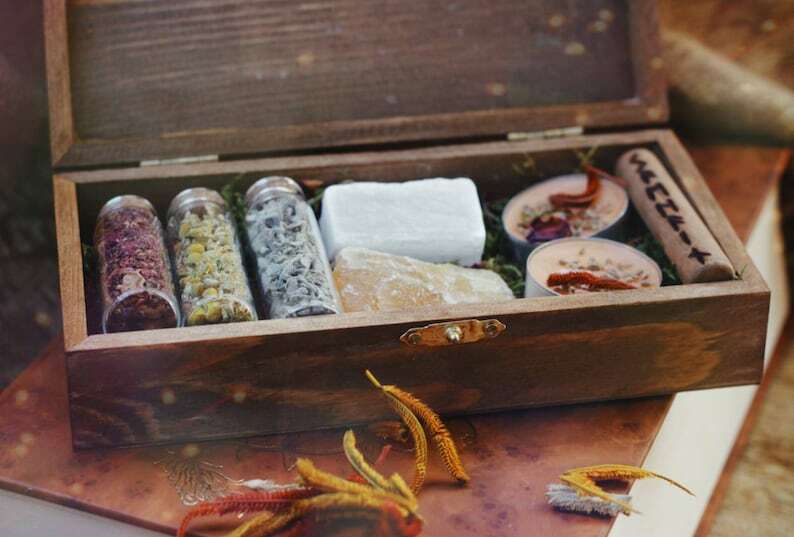 It comes with Herb vials, crystals, orange and anise ritual candles and a tiny samhain wand. It is a perfect kit to take your little rituals on the go and you can also use it as a base for something bigger. Every Box is a bit different due to the use of natural materials. Herbs and Crystals may vary depending on availability. Loved it! A box of good vibes.